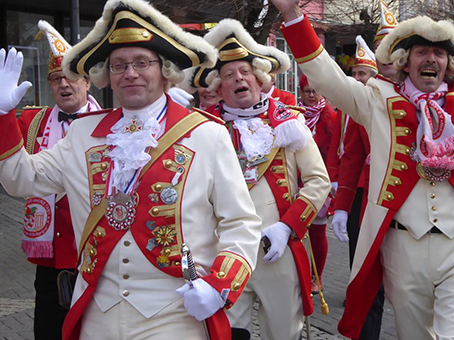 One of the annual attractions of Neuwied is the traditional Carnival which is celebrated in towns and cities across the Rhineland. 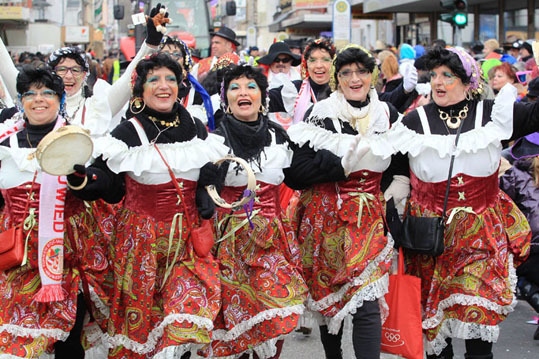 It's called Karneval in Germany and comes to a head on Rosenmontag - the Monday before Shrove Tuesday. 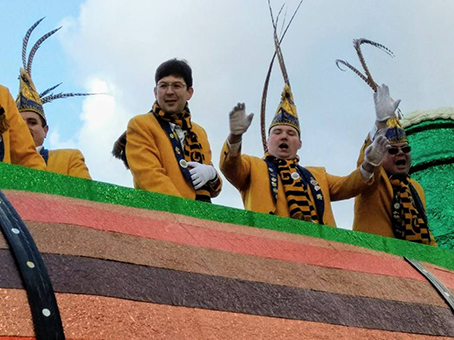 Karneval (in English, Carnival) is celebrated in many parts of Germany, but nowhere is it more popular than in the Rhineland. 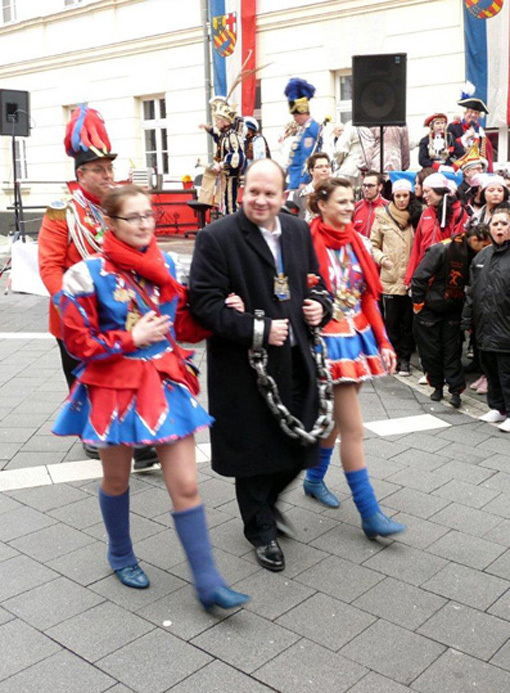 Few of us in England know about the fun of Karneval. Its history goes back many centuries. 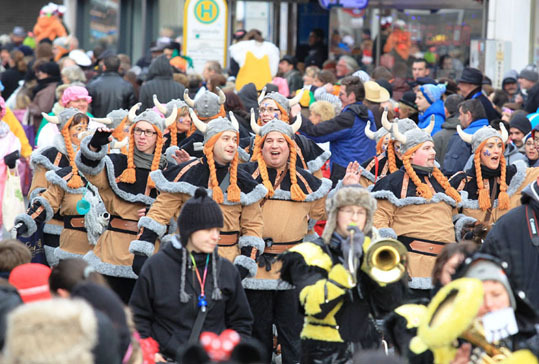 The first written record of Karneval in Cologne, for example, dates back to 1341. 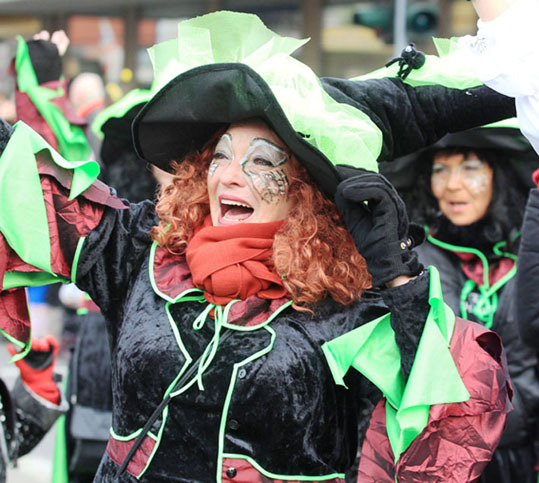 As elsewhere in Germany, Karneval in Neuwied formally begins on the 11th of November at 11.11am (eleven being regarded as a magical and mystic number) and is regarded as the fifth season along with Spring, Summer, Autumn and Winter. 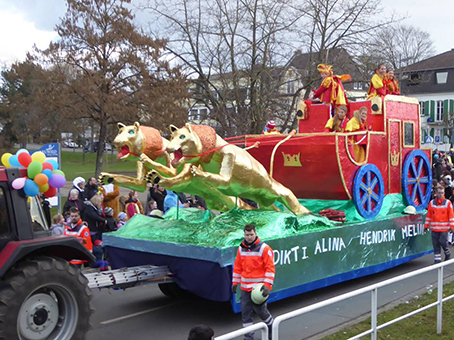 Der Festausschuss der Stadt Neuwied – the Festival Committee of Neuwied – is, itself, a member of the Rhineland Carnival Corporation – Der RKK – which embraces some 1,100 carnival clubs and over half a million carnivalists. 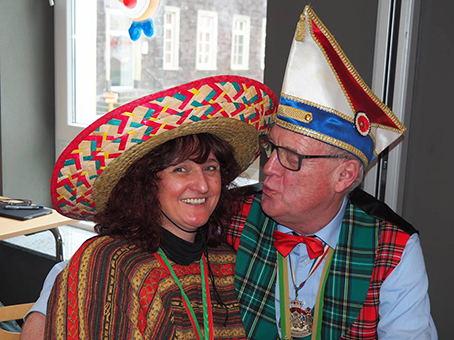 Every year, the different carnival organisations in Neuwied select their own Prince and Princess – der Prinzenpaar – and form a Prinzenteam to support them. Typically a team comprises the Prince and Princess, the Prince’s Aide-de-Camp, his Chancellor of the Exchequer and his Butler, and the Princess’s Ladies-in-Waiting. 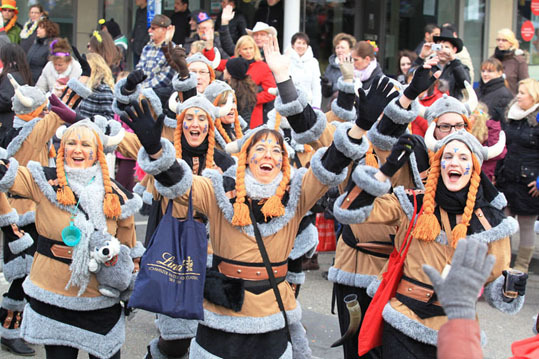 Some carnival groups will have both a senior and junior team! 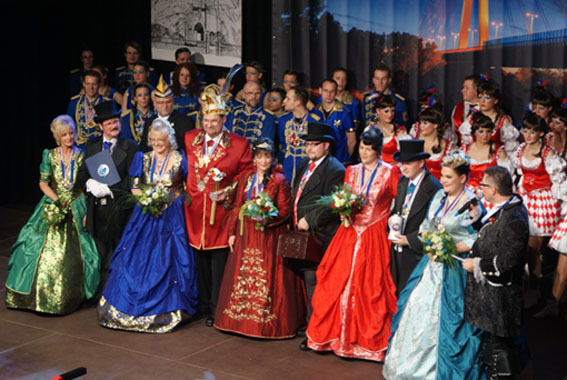 The highest accolade is to be chosen the carnival Prince and Princess of the town of Neuwied itself. 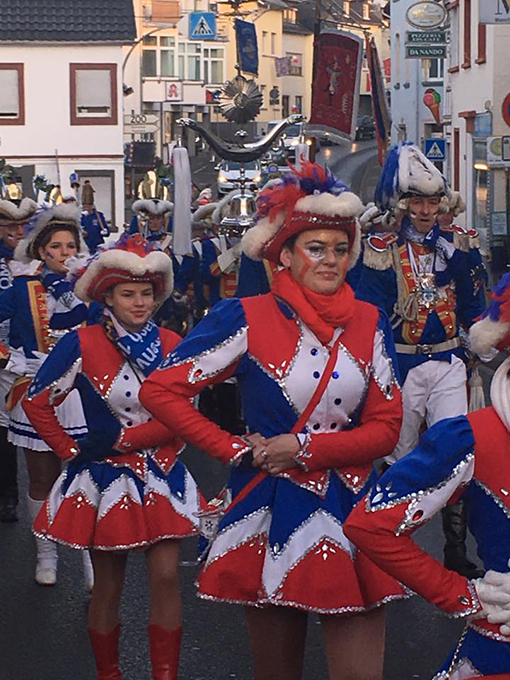 Karneval activities from November onwards are frequent but generally low key until the final few “Crazy Days” (Tolle Tage) which take place exactly six weeks before the Easter weekend. 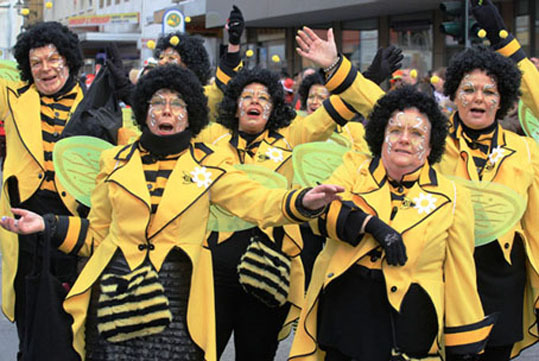 The first day, Thursday, is the women’s carnival night (Weiberfastnacht) but – should you go into town to take part in the fun – watch out! On this Thursday it is a tradition that women may cut off the tie of any man within reach and kiss any man they want to. So be sure not to be wearing your best tie! 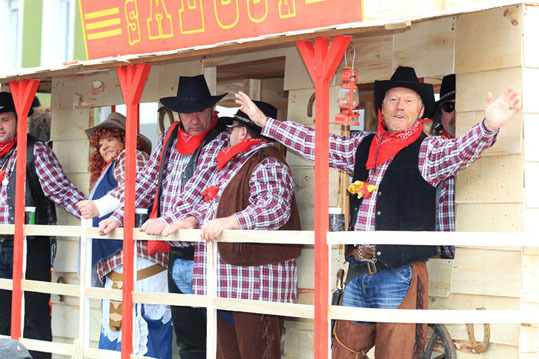 On the Friday, Saturday and Sunday, Karnevalists join together in special parties or celebrate in bars and restaurants throughout Neuwied. 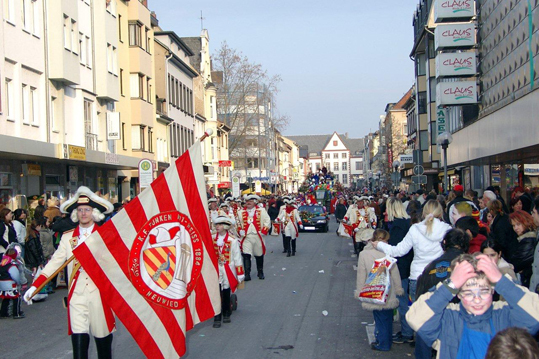 The frenzy of activity peaks on Rosenmontag (Rose Monday) with a grand carnival parade through the town with festivities continuing throughout the evening and often into the early hours. 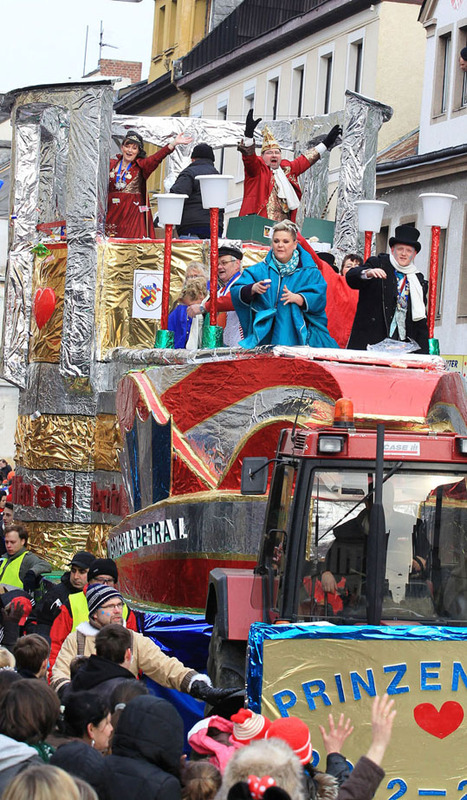 Then, as with all good things, Karneval comes to an end at midnight the next day, Shrove Tuesday, with the burning of the carnival spirit (using an effigy of the carnival prince) in repentance for all the feasting, drinking and merriment that has gone before. ). 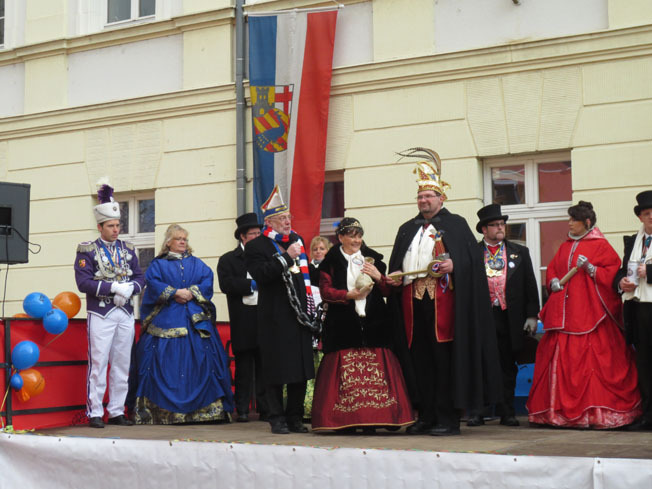 In this picture from the 2014 Karnival, the Prinzenpaar, Prinz Norbert II von lila-weiss and Prinzessin Sabine I dat Schnuckelche vom Ring, are flanked by their courtiers. 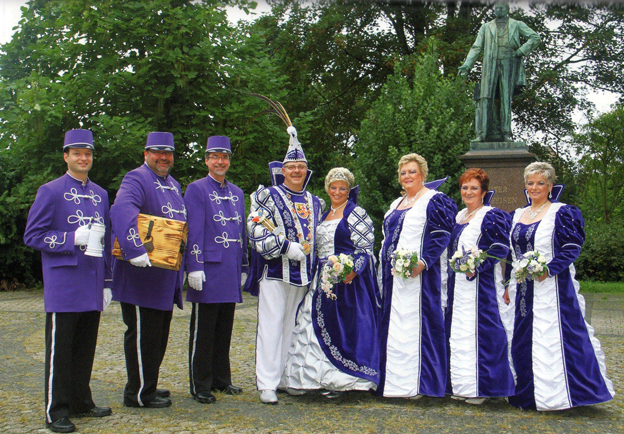 (Left to right, ladies) Hofdame Baroness Renate Dat Dilldoppche vom Weiherplatz; Hofdame Giovanna Baroness Colonna Vittoria, and Hofdame Doris Baroness von Glanz und Gloria. 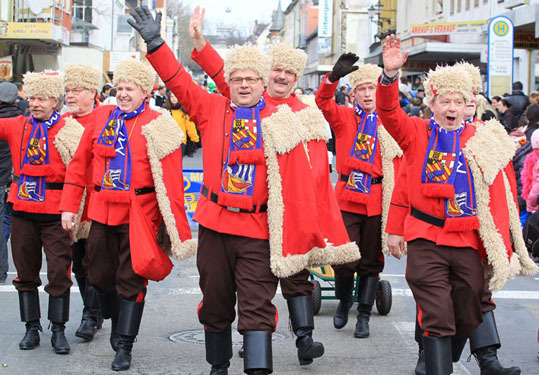 Needless to say, these are all names dreamed-up for the Karneval. 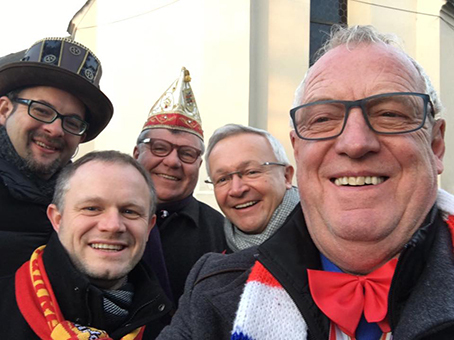 Members of the Bromley Town Twinning Association visit Karneval regularly. It's a great experience although we only go in small groups of up to six each time because the hospitality we get is so overwhelming. We would be disrupting our hosts and their superb organisation if too many of us turned up. 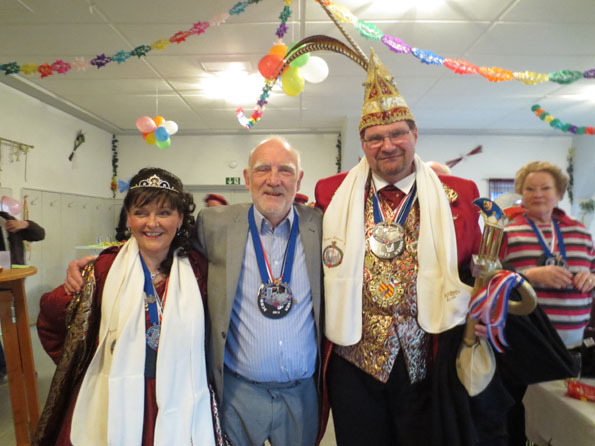 BTTA member David Noble with his wife Lynne are experts in Karneval as they bring Karneval troupes over to England regularly as they were very prominent in the former Bromley Carnival. 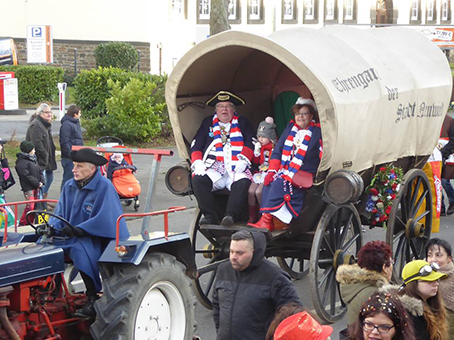 Everywhere they go along the streets of Neuwied, they are recognised and are true ambassadors for Bromley. 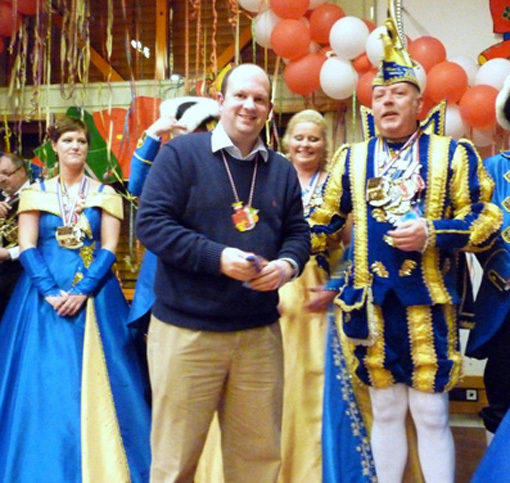 In 2012 a Mayor of Bromley visited Karneval for the first time, combining it with an official trip. 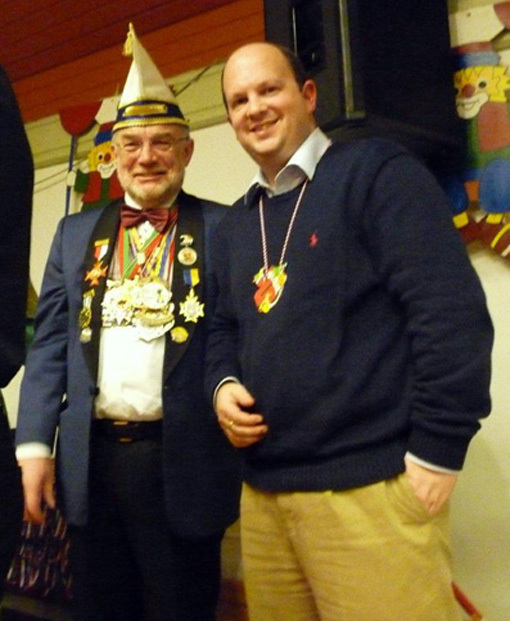 The visit of Councillor David McBride was a great success with the Oberbürgermeister of Neuwied, Nikolaus Roth, inviting him to take a full part in the festivities. 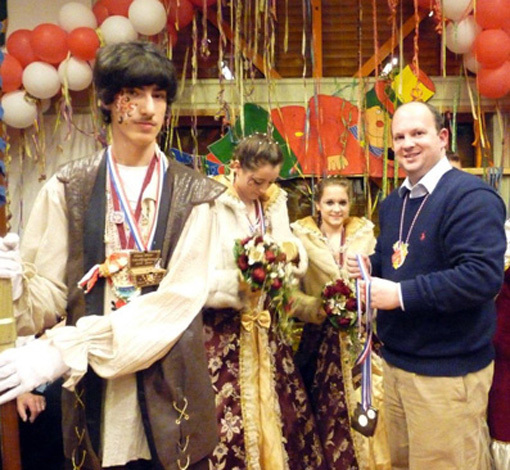 This included giving out prizes but there was one big shock for the Mayor. 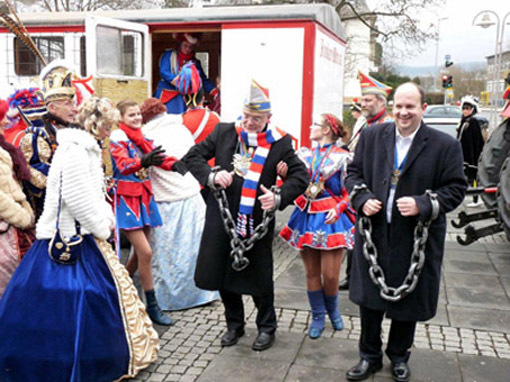 According to tradition, the Oberbürgermeister is captured by the guard of the Prince and Princess, put in chains and taken to a prison wagon. 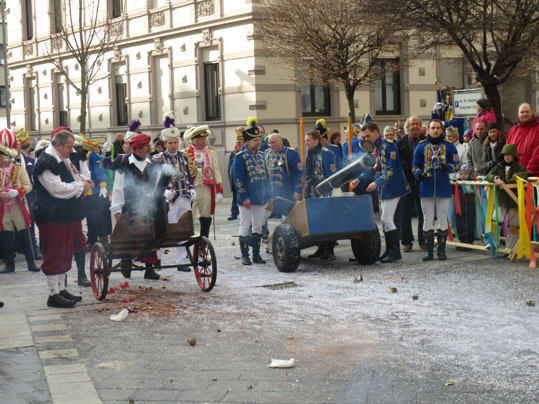 This time the Mayor was captured too and led away after a mock battle between the defenders of the Oberbürgermeister and the attackers. That doesn't happen in Bromley to mayors!